Frat Fury is the Stuff Guide for Men who refuse to grow up! We bring you the hottest stuff, drinks, girls, & skills, etc. You don’t need to be in a Frat or Club to enjoy our stuff, but getting into the mentality doesn’t hurt. Part of Plunder Media. 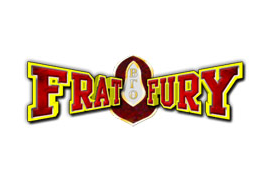 Be the first to review “Frat Fury” Click here to cancel reply.